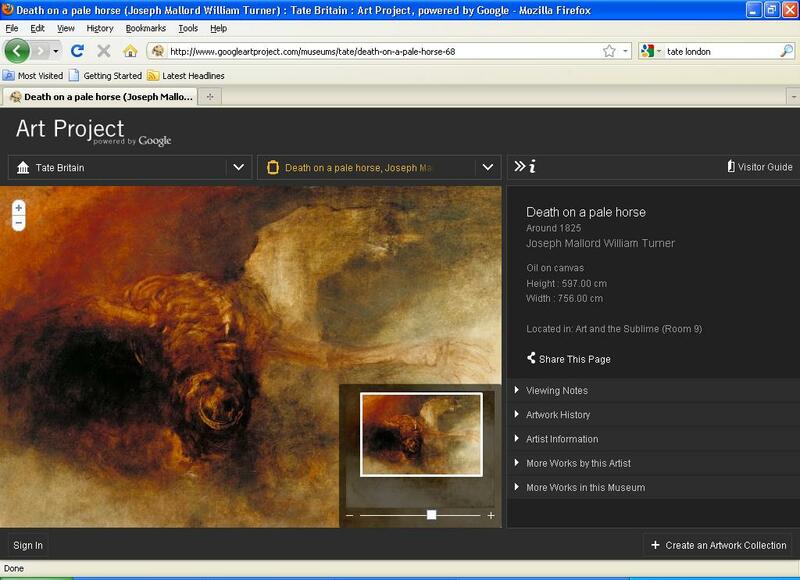 As you may have noticed below your google search bar yesterday, the 1st saw the lauch of Google Art Project. To quote the website, “the project is a unique collaboration between google and some of the most acclaimed art museums to enable people to view and explore more than 1000 artworks in extraordinary detail”. The site has three major features. For those who have used googles streetview, the first will be familiar. Google have taken the technology used to image the streets of the world inside these major art institutions. I’ve attached an picture of myself navigating around Room 9 ‘Art and Sublime’ at Tate Britain. Navigation is simply carried out by click arrows back and forward. 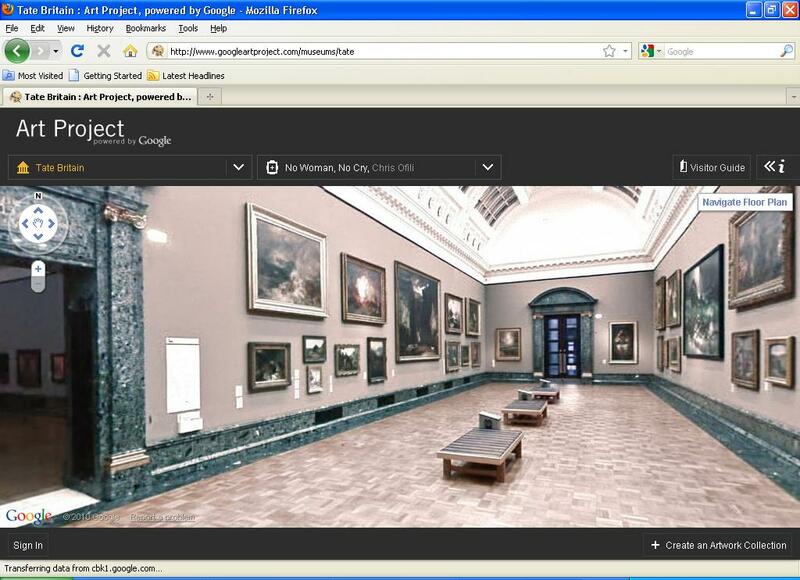 Google have taken its streetview technology inside some of the world most famous art museums. The other major technology related feature is looking at the art itself. You can select to view the art work on the wall in closer detail using street views zoom feature. Here is the digital version of Turners ‘Death on a Pale Horse’. Each artwork also has ample amounts of information such as viewing notes, artists history etc. 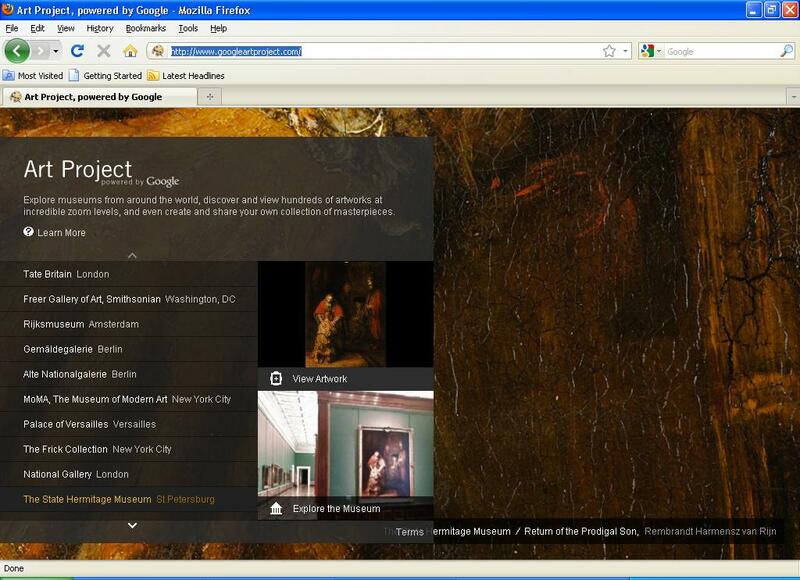 Virtual visitors can move around the galleries and view detailed images of the works on show. Each institution has also nominated a piece for ‘giga-pixel’ photography. As the press release states ‘each such image contains around 7 billion pixels, enabling the viewer to study details of the brushwork and patina beyond that possible with the naked eye’. The third interesting feature is that those with google accounts can sign in and create their own collection from the 17 galleries. You can even add comments to specific zoom levels. All this can be then be shared with family and friends! It’s an impressive site, which of course also has some failings. A quick search this morning found this article in the telegraph. I think the author may have been expecting too much. Here’s hoping that google continue to add new galleries in the future. In the meantime if you want to see some real Turners, Petworth House in West Sussex has ample to choose from! I’m not sure about Chrome, I was using it in Mozilla Firefox and it was working okay. Might be worth trying out on a different browser!